Banana Kong Adventure is a free adventure game for Windows 8 and 8.1 computers. 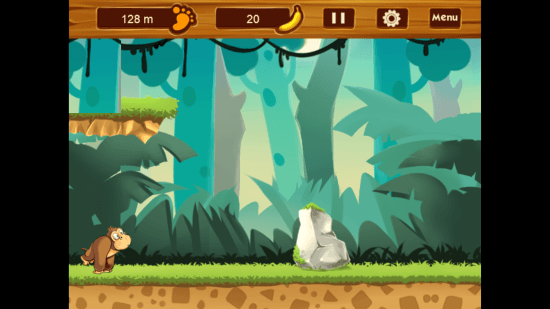 Developed and published by Sublime Co., this endless runner and adventure game sends you on an adventure trip as a chimp, who wants to collect as many bananas as he can. 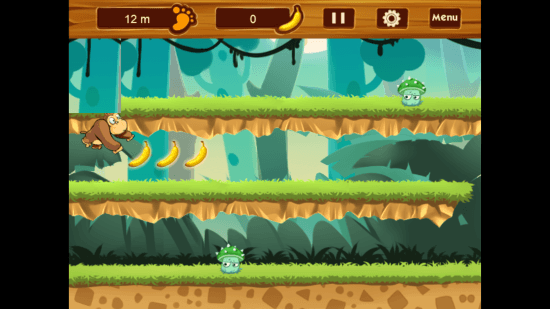 Now, the road is not too easy, he has to cross many obstacles while he collects bananas. Poisonous mushrooms and stones are all over. Beware and don’t touch them else you die. 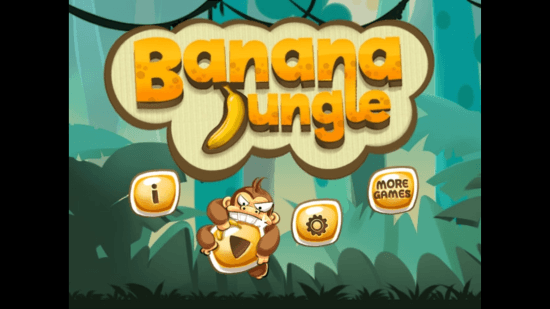 Get ready for an awesome adventurous road to collect bananas in this adventure game for Windows 8. Developed and Published by Sublime Co, this adventure game for Windows 8 can be found to download on Microsoft App Store. You will find the link to the download page on App Store, later in the article. You may also go to App Store and search for the game by typing its name in the search box. When you reach the Installation page, click Install, which automatically downloads and installs the game on your computer. Banana Kong Adventure is a pretty easy and entertaining game to play. 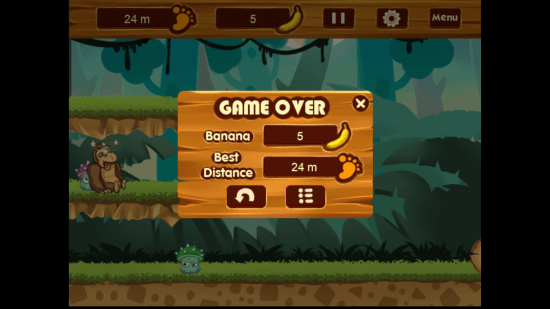 As the name suggests, you have to collect bananas through out the gave, while surviving all the obstacles that come in your way. All you need is your computer’s mouse to play this game. Simply click the left button of the mouse to make the chimp jump. Let us know more about the adventure game for Windows 8. Now when you begin playing this exciting game, you will find various levels upon which you can jump. To simply cross an obstacle on ground, click once. To jump up to the upper levels, you will have to click your mouse twice. You will find bananas on the higher levels too. In case you want to jump to lower level, simply click mouse once when at higher level. Along with poisonous mushrooms, you will also find big rocks here. Do not stumble upon any of the obstacles, or you loose life. Once you loose life, you will have to start all over again playing this adventure game for Windows 8. Bananas collected along with meters traveled are displayed once the game is over. Restart or go to Home page of the game. This adventure game for Windows 8 is pretty interesting to play with awesome graphics and good game play. You will also like the BG music while playing this game. 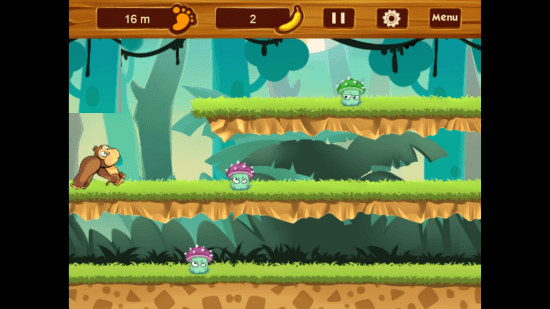 Download Banana Kong Adventure For Windows 8 and 8.1 computers.